Circles can be found everywhere in the natural world. The Earth is shaped as a sphere, or a 3D version, of a circle. A slice of a tree trunk reveals many circular rings that form as the tree grows over time, and the human eye contains a circle-shaped pupil. For a shape that appears so often in nature and in our everyday lives, circles are very mysterious and might never be fully understood. This is because there is no way to measure them. When you take the distance around a circle and divide it by the distance across a circle, you will always get Pi. Pi is an irrational number which means it cannot be written as a fraction. While Pi is equal to about 3.14 when rounded, it is infinitely long. It is sometimes written using the Greek symbol, π. With the help of computers, mathematicians have been able to calculate Pi out to over a trillion decimal places with no clear ending to the number in sight. This makes Pi puzzling, even to the most famous scientists and mathematicians. Pi Day is celebrated around the world on March 14, since the way that we write this date, 3/14, looks just like Pi when it is rounded to the nearest hundredth of a decimal. In 2009, it was voted to officially make March 14 ‘Pi Day’. Certain parts of the world — places where March 14 is written as 14/3 — will instead celebrate Pi Approximation Day. Pi Approximation Day takes place on the 22 of July since the fraction 22/7 is a good mathematical approximation of Pi. 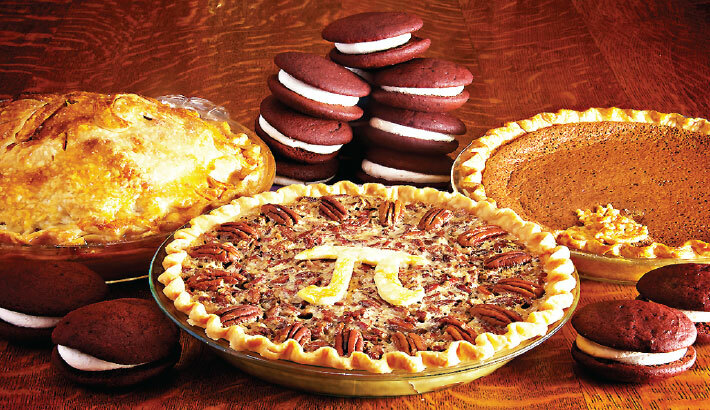 For David Blatner, author of The Joy of Pi, the appeal of Pi Day goes far beyond math and science. Pi Day is really about celebrating the fascination between what is knowable and what’s not knowable. Pi has appeared in movies, comics, music, and more. In modern movies, any time the filmmaker wants to evoke a sense of mystery, often time the symbol Pi is used. People also love working to memorize the digits of Pi and competing against others to see who can remember the most. Many teachers hold class contests to see how many numbers their students can memorize. The Guinness World Record for reciting the most digits of Pi is held by Lu Chao of China, who successfully recited Pi out to nearly 67,000 decimal places. Above all, Pi Day is about having fun with the number and with all that it represents. People celebrate Pi Day by eating pie and throwing pie, and with fun Pi-related games and activities. Just like the number itself, the possibilities for Pi Day are truly endless.